Neural Transfer Style is one of the most amazing applications of Artificial Intelligence in a creative context. In this Project, we’ll see how to transfer an art painting style to a chosen image, creating stunning results. Leon A. Gatys et al. conceived the concept of Neural Transfer Style in their paper A Neural Algorithm of Artistic Style, in 2015. After that, many researchers applied and improved the methodology, adding elements to the loss, trying different optimizers and experimenting different neural networks used for the purpose. 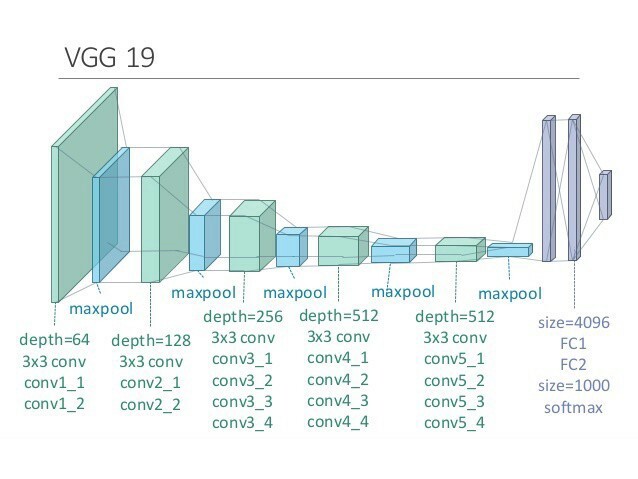 Still, the original paper remains the best source to understand this concept, and the VGG16 and VGG19 networks are the most used models in this context. 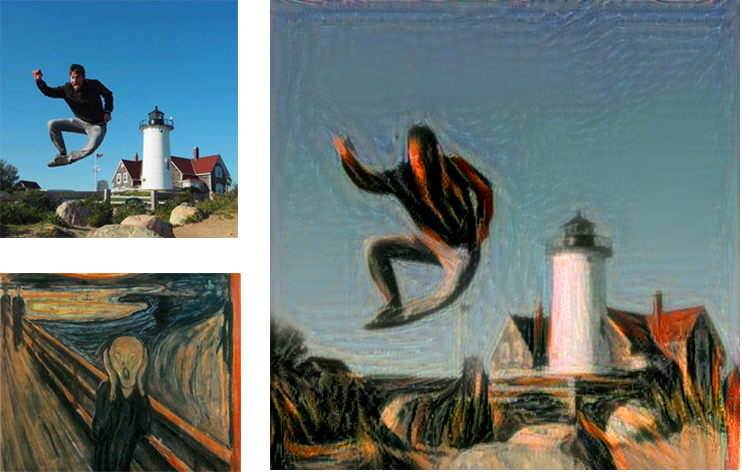 This choice, which is unusual considering that both have been outperformed by most recent networks, is proved by the highest performance achieved in style transfer. You can check this GitHub Repository for the full code. Style is textures and visual patterns in an image. An example is the brush strokes of an artist. Content is the macrostructure of an image. People, buildings, objects are examples of the content of an image. Do you want to see more effects? Check them out at the end of the article! Choose the style reference image. Usually, this is a painting with a peculiar and well recognizable style. Initialize a pre-trained Deep neural network, and obtain the feature representations of intermediate layers. This step is done to achieve the representations of both the content image and the style image. In the content image, the best option is to obtain the feature representations of the highest layers, since they contain information on the image macrostructure. For the style reference image, feature representations are obtained from multiple layers at different scales. Define the loss function to minimize as the sum of the content loss, the style loss and the variation loss. Each iteration, the optimizer generated an image. The content loss is the difference (l2 normalization) between the generated image and the content image, while the style loss between the generated image and the style. We’ll see later how these variables are defined mathematically. The content loss preserves the content of the main input image to style. Since higher layers of a Convolutional Neural Network contain information of the image macrostructure, we calculate the content loss as the difference (l2 normalization) between the output of the highest layer of the input image, and the same layer of the generated image. In the equation, F is the feature representation of the content image (what the network outputs when we run our input image through), and P the one of the generated image, at a specific hidden layer l.
# The content loss maintains the features of the content image in the generated image. Understanding the style loss is not as straightforward as the content loss. The goal is to preserve the style of an image (i.e. visual patterns as brush strokes) in the newly generated image. In the previous case, we compare the raw outputs of the intermediate layers. Here, we compare the difference between the Gram matrices of specific layers for the style reference image and the generated image. The Gram matrix is defined as the inner product between the vectorized feature map of a given layer. The meaning of the matrix is to capture the correlations between features of a layer. Calculating the loss for multiple layers allow preserving similar features internally correlated in different layers, between the style image and the generated image. In the equation, A is the Gram matrix for the style image, and Gis the Gram matrix for the generated image, both respect to a given layer. N and M are the width and height of the style image. # The gram matrix of an image tensor is the inner product between the vectorized feature map in a layer. # The style_loss_per_layer represents the loss between the style of the style reference image and the generated image. # It depends on the gram matrices of feature maps from the style reference image and from the generated image. # taking into account all the layers considered for the style transfer, related to the style reference image. Finally, the last component of the loss is the variation loss. This element is not included in the original paper, and it is not strictly necessary for the success of the project. Still, empirically it was proven that adding this element produces a better result since it smoothes the color variation between close pixels. # smoothing the pixel variations among neighbour pixels. # Get the outputs of each key layer, through unique names. The VGG19 network takes as input a batch of three images: the input content image, the style reference image, and a symbolic tensor which contains the generated image. The first two are constant variables and are defined as Variable using the package keras.backend. The third variable is defined as placeholder since it will change over time while the optimizer updates the results. Once the variables are initialized, we joined them in a tensor which will feed later the network. # are dependent. This reduces the computation time, since otherwise it would be calculated separately. Finally, everything is set! The last step is to iterate the optimizer multiple times until we reach the desired loss or the desired result. We’ll save the result along the iterations, to check that the algorithm is working as expected. If the result is not satisfying, we can play with the weights in order to improve the generated image. To see the whole code, please refer to the GitHub link provided at the beginning of the page. If you want to experiment with specific effects, paintings, or you have any suggestions, just leave a comment!